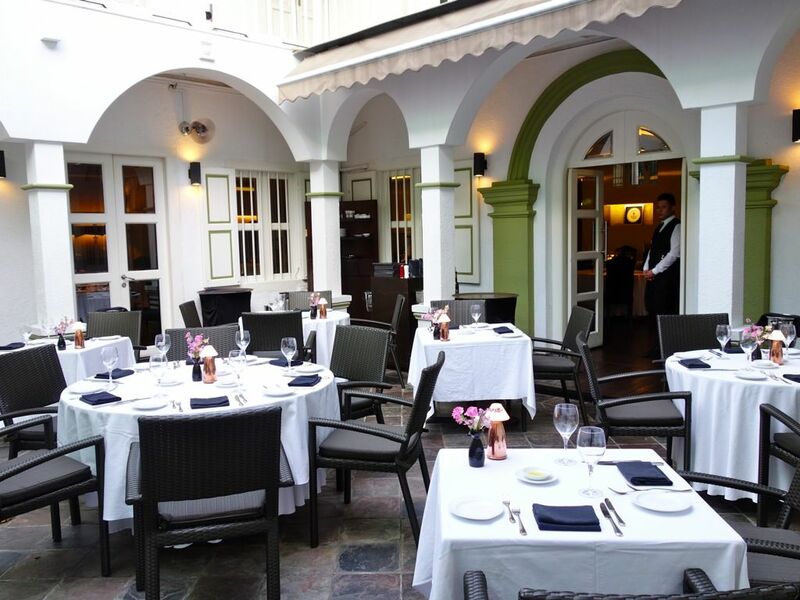 Senso Ristorante & Bar, Club Street’s favorite Italian restaurant turns 14 this year and i must say it's a feat in our dynamic food scene! To celebrate this milestone, a Best of Senso’s Signatures menu is put together for this occasion. From 1 to 31 July only, sample popular dishes from over the years and also taste exclusive dishes from Senso’s international outlets. 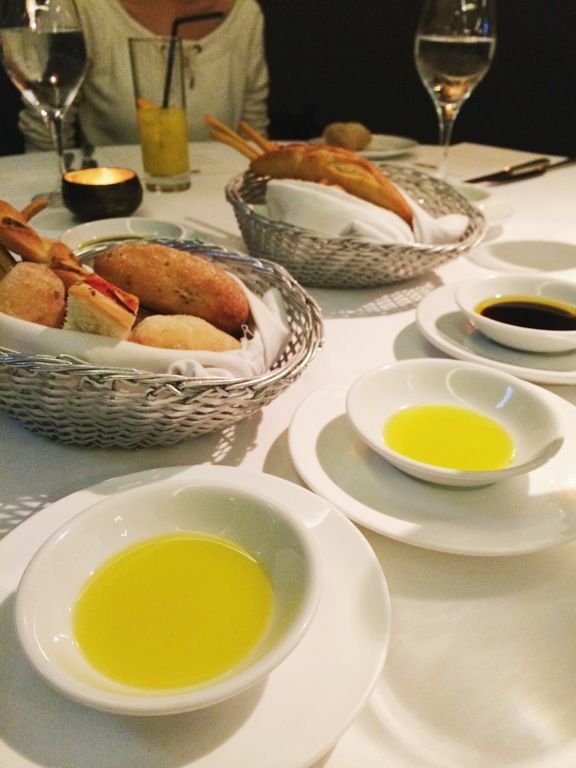 The 2 exclusive items are from the restaurant’s outlets in Geneva and Crans Montana. 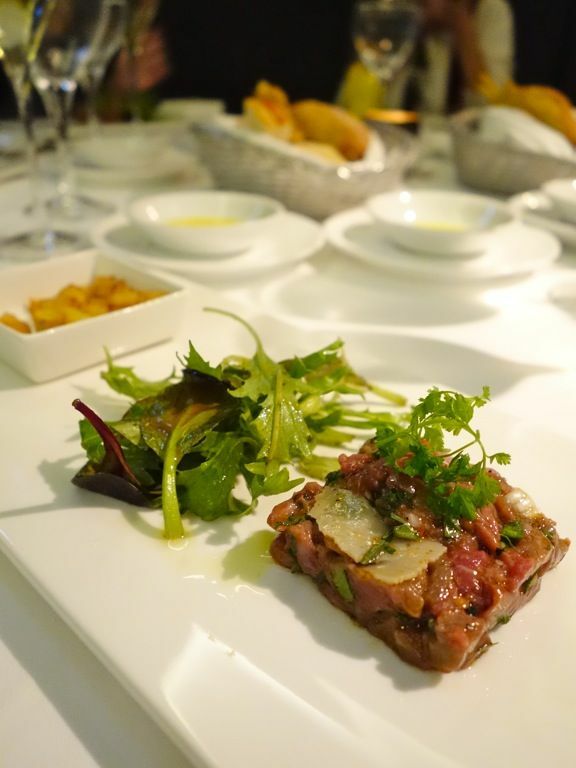 The Manzo ($32), Beef Tartare, Roquette & Parmesan, Olive Oil, Chervil and Roasted Potatoes, was a sell-out dish in Crans Montana when it was introduced in 2010. 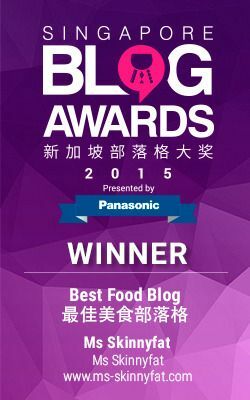 Love the tender and well flavored meat. The menu also features the Sogliola From Mediterranean, Dover Sole Meuniere with Orange Zest, Rucola and Ripened Tomatoes, a special dish from Senso’s outpost in Geneva. Only the Dover Sole is used, the preferred fish for an authentic Sole Meuniere and also the use of oranges from Sicily for that added authenticity. We also had a mini olive oil tasting during the meal and that wonderfully aged (12 years) Balsamic vinegar that tasted like honey. It was amazing with the freshly baked breads. The other dishes are from the Singapore menu. 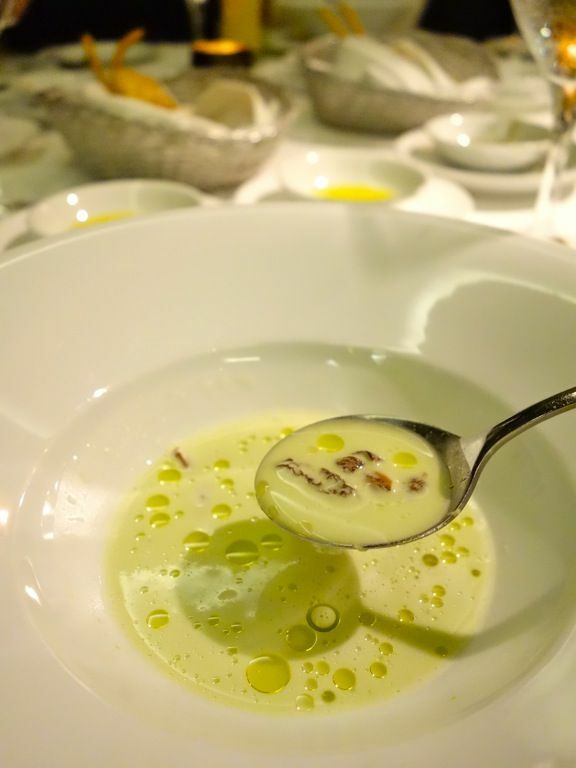 The Green Asparagus and Morels Soup (Singapore 2005) $24 was a light and refined soup, perhaps a little too delicate for my liking. The Risotto (Singapore, 2006) $36, was probably the favorite dish of the night. 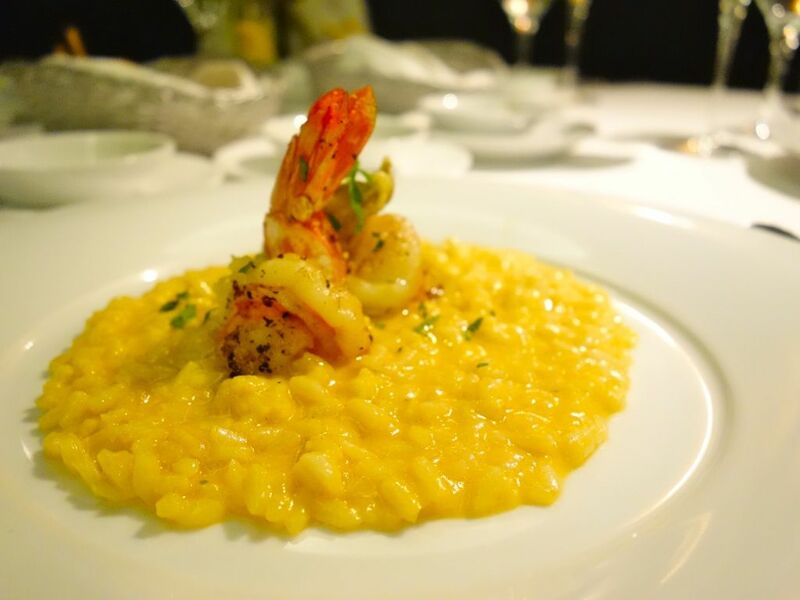 The salty and creamy risotto paired simply with sweet and succulent grilled tiger prawns. While fresh zucchini flowers from Italy were used in the dish, i found it doing little to complement the already perfect combination. In fact, the fried flowers tasted oily and a little stale. 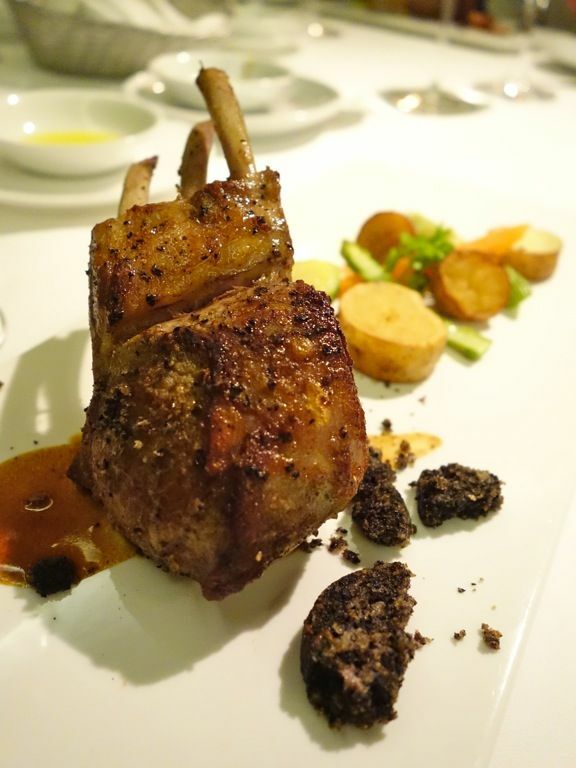 Premium NZ Lamb Rack (Singapore, 2011) $44. The lamb was cooked to perfection with a nice pink center and was good on its own. The olive crust came served as a disk by the side instead and was a little too dry and crumbly. We ended our meal with a deconstructed Tiramisu Revisito (Singapore, 2011) $22. This was specially created by Executive Chef Yves Schmid in 2011. 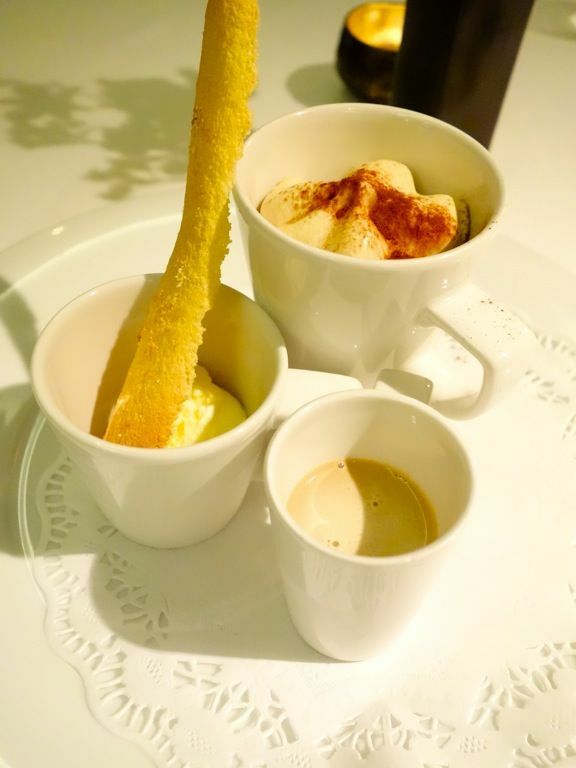 So there's coffee mousse, homemade mascarpone ice-cream with Savoiardi biscotto and coffee milkshake. Good flavors but give me a traditional tiramisu with all that richness anytime. All dishes on the menu are available a la carte, but diners looking for a heartier meal can opt for the three, four or five course menus that start from $88. Wine pairing is also available. 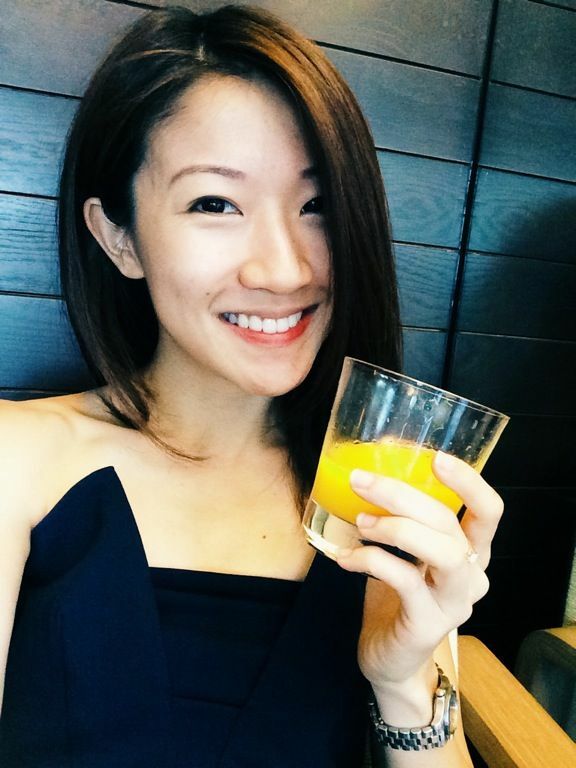 The Senso experience was lovely as usual and i really love the atrium section where you get to dine under the stars but in comfort. Great place for a romantic date with your significant other. 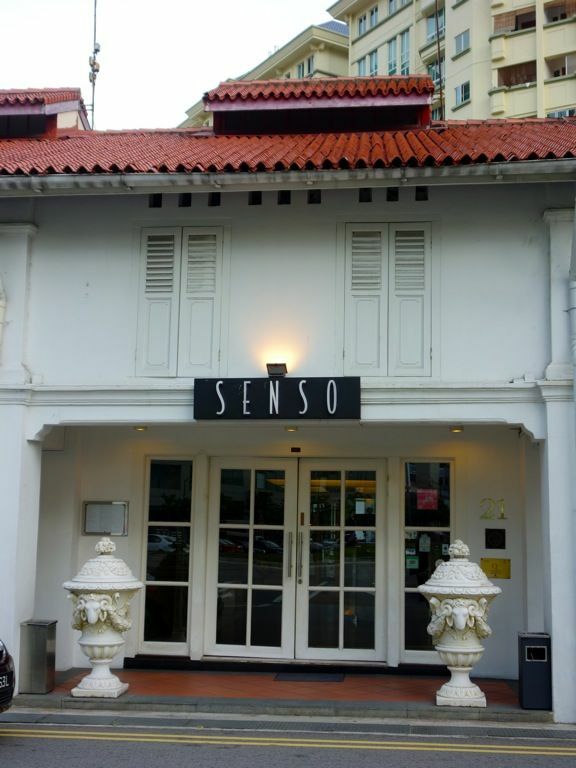 Do drop by The Best of Senso’s Signatures Menu which is only available from 1st – 31st July.